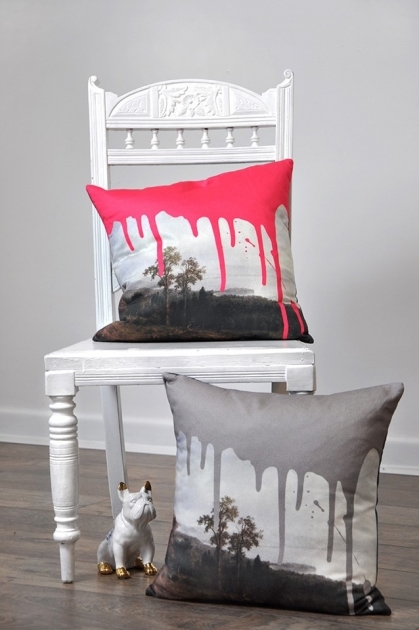 These digitally printed cushions feature a beautifully painted scene each spashed with paint. The cushions are printed in England on cotton satin, backed with black cotton and with feather filled pads. Each cushion measures 45 cm x 45 cm with the colout options of grey or hot pink.